12 months of regular music updates and license rights. 3 sliders, total control over your soundtrack. Looking for music for your project? Filmstro gives you access to a music library like no other. 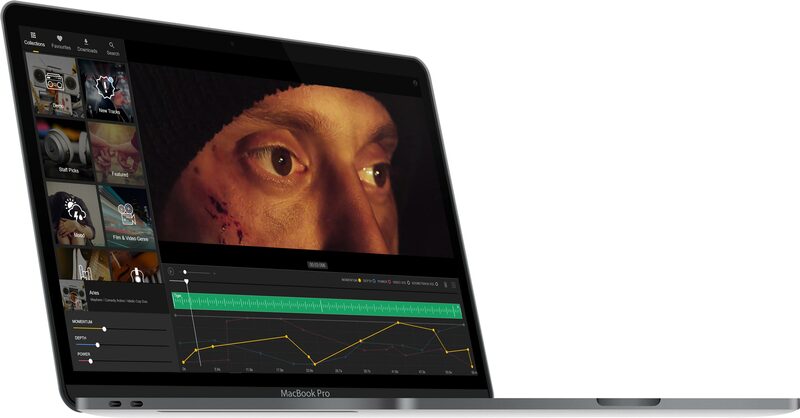 Find the right soundtrack for your project and use the 3 sliders to control the momentum, depth and power of the soundtrack to fit your film or video perfectly. 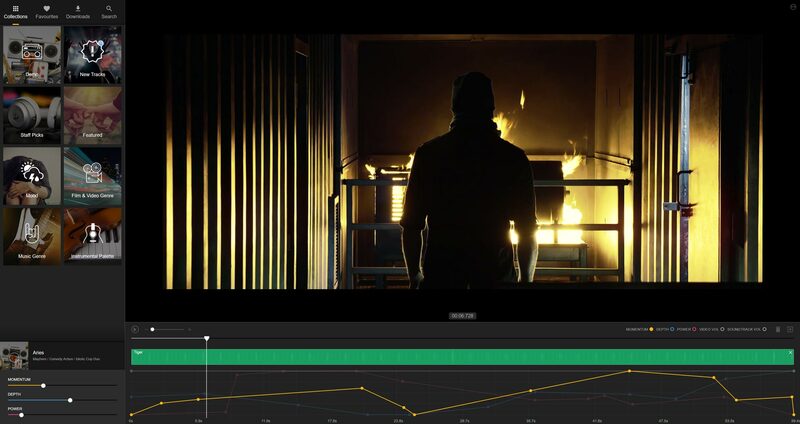 Craft soundtracks to perfectly fit your image using the keyframe graph editor. Moving the sliders will automatically create keyframes for each element (momentum, depth and power) that can be edited at any point. Filmstro offers over 60 albums’ worth of dynamic music with weekly music releases. Search for music based on keywords, film and video genre, musical style, instrumental palette or mood. Add your soundtracks to ‘favorites’ for quick access. 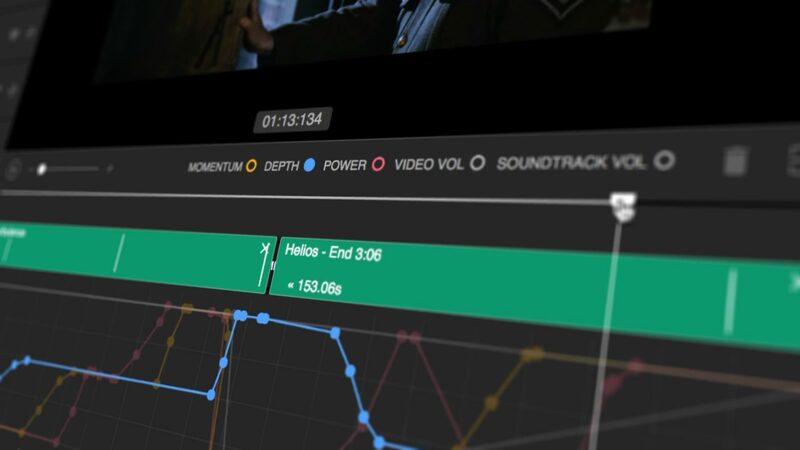 Despite the powerful audio engine and advanced soundtrack control tools, Filmstro is designed to be as simple as possible so you can concentrate on easily crafting your perfect soundtracks. This license can’t be used for content that will be used on broadcast TV or Radio. For licenses with extra coverage, please get in touch with Filmstro. All Filmstro music is licensed for usage worldwide and in perpetuity. This means once you’ve created and exported a soundtrack for your project, that track will remain licensed for that specific project. Forever. Download Filmstro for free and feel the power of dynamic music today. Try out the 5 free demo tracks, which can be used on any project (commercial and non-commercial) for free. Want to find out more about musical updates from Filmstro? Follow them on Facebook and Twitter for weekly updates on music releases.